Dianna Wells studied at the Canberra School of Art and began her graphic design career by co-founding Another Planet Posters in Melbourne in the 1980s. Funded by the Australia Council, the studio designed and screen-printed posters on issues such as youth, housing and cultural identity. Dianna went on to work as a senior designer for the City of Melbourne in the early 1990s before founding Dianna Wells Design in 1994. An interest in cultural identity inherent in natural and built environments and in creative and cultural organisations has led to DWD producing a number of award-winning projects. 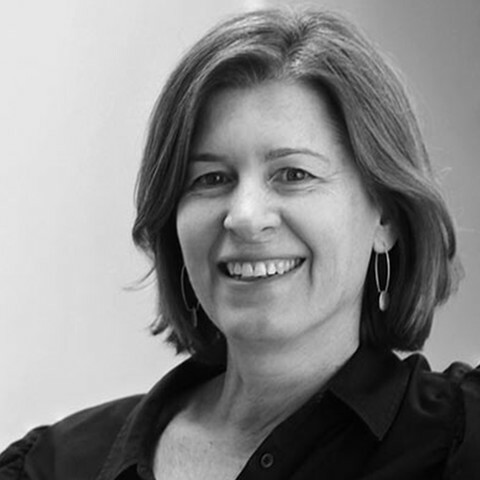 Dianna is a member of AGDA, and was selected to judge the Australian Poster Annual for The State of Design Festival 2009 and the 2008 AGDA National Awards. She served as an AGDA Councillor on the Victorian Chapter from 2006–07 and was a member of the AGDA National Awards committee in 2002. The National Gallery of Australia, the State Library of Victoria and the Art Gallery of Western Australia have collected and exhibited Dianna’s work. Graphic work has been published in Graphic Agitation (Phaidon), Poster Graphics (PIE Books) and Affiche. DWD’s work has appeared in the AGDA Award Compendiums 2004 and 2006. Dianna has lectured in graphic design at Monash University and RMIT University and completed a Masters in Fine Art at Monash University in 2013.